This superlative Victorian church is a sleek fat cat, lazing in the glorious park of Culford Hall, former home of the Earls of Cadogan, as if the last 100 years had never happened. Gorgeous pines and yews overarch the trim, clipped lawns that separate it from the park road. Externally, it is very much in the traditional East Anglian late medieval style, but riches await inside, abounding beyond the familiar. In all Suffolk, perhaps only Flixton St Mary and Ipswich St Mary le Tower make bolder statements of the glory of mid-Victorian High Church confidence and style. St Mary was built with the unlimited money of then Lord of the Manor Edward Richard Benyon, who lived at Culford Hall. He was also the Rector, one of those 19th century clergymen who knew what he wanted, and who had the wherewithall to get it. What makes Culford a little different from Flixton and St Mary le Tower is that it was not the work of a major architect. Although many sources, including Cautley, Pevsner and Mortlock, suggest that this church was the work of the great Arthur Blomfield, this is not the case. 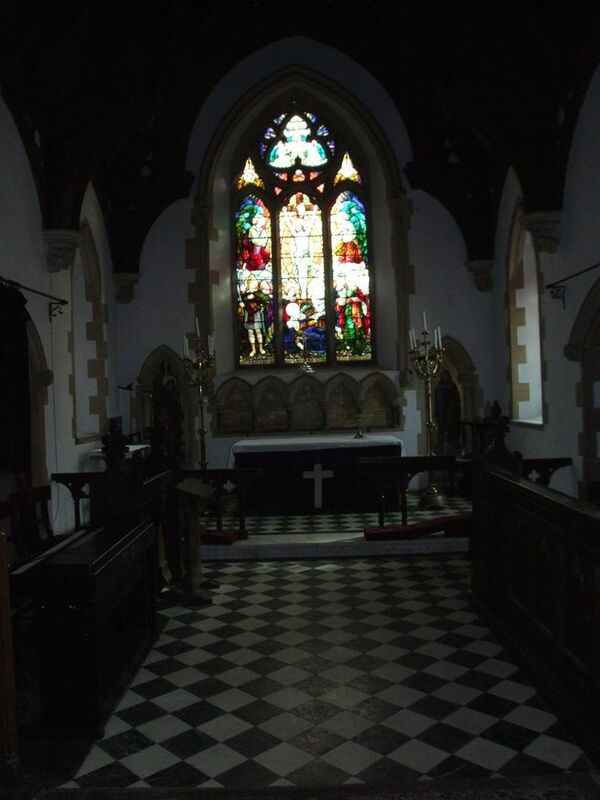 Blomfield's work in the county includes the red-brick twilight of Felixstowe St John the Baptist, and his best work of all is in half a dozen English cathedral restorations. He did work for the Culford estate in the 1860s, but this was to build the chapel of ease in the forest at Culford Heath, a couple of miles off. Here in the park, the architect was the little-known William Harbershon. He had been employed by Benyon to rebuild Ingham rectory in the 1840s, and a plaque inside St Mary records his name. The north aisle was added later, the work of fashionable London architect Clyde Young. Interestingly, the new wall went across the recent grave of the Culford postmaster, whose stone was moved inside, into the aisle, and now lies, rather incongrously, among the memorials to the Earls of Cadogan, who bought the Hall after the Benyons died out. It isn't that an unusual to find a Victorian rebuilding on the site of an earlier church, although here, unusually, the church which was replaced was also post-Reformation. At the time the Hall was rebuilt, the village had been moved up on to the top road, the parish church demolished, and rebuilt in a pre-Ecclesiological style. 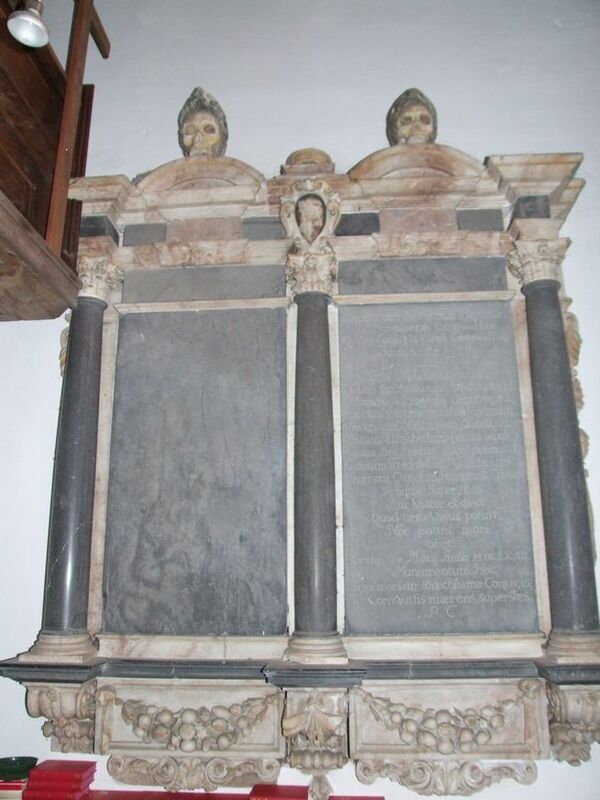 Nothing survives of it, apart from the monuments, which are among Suffolk's most striking. At the time of my visit in 1999, it wasn't possible to go inside; St Mary didn't list a keyholder. At the time, I suggested that no better guardian could be found than this setting within the park. 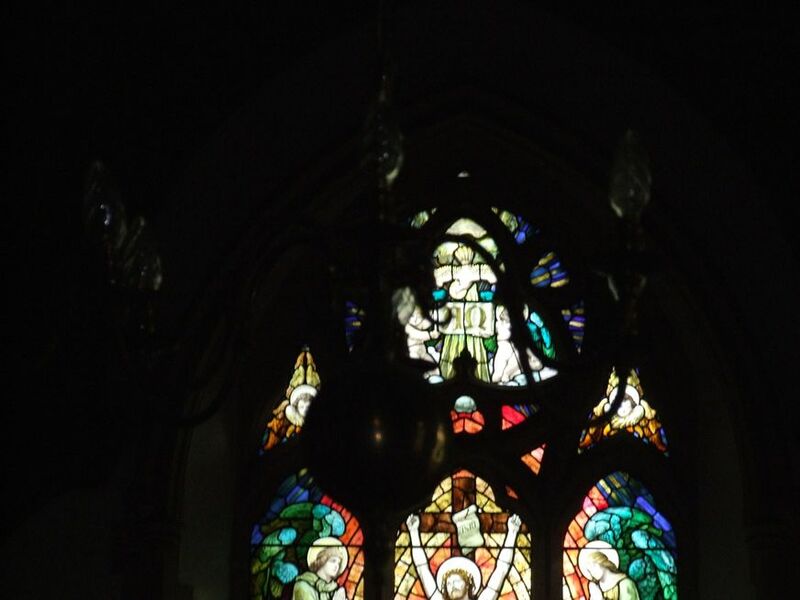 Today, there is a keyholder, but I have usually found the church open. 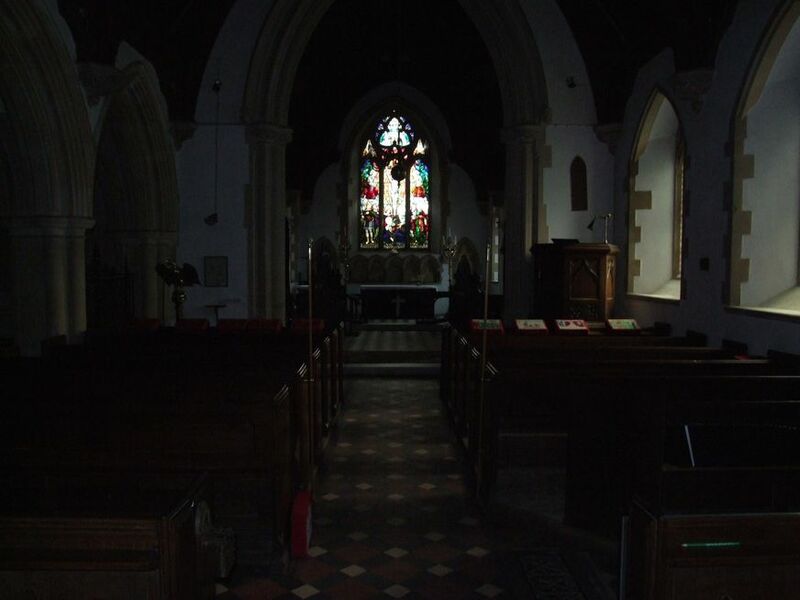 You step inside to a dark hush, typical of churches built in the 1860s for shadowy, incense-led worship. 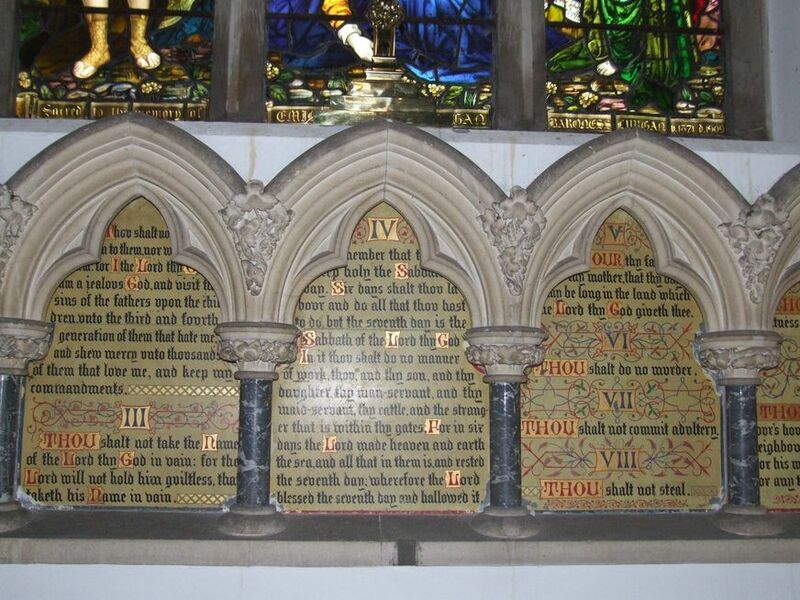 The most remarkable and memorable feature of the interior is the memorial in the chancel . It is to Lady Jane Bacon, wife of the artist Nathaniel Bacon, whose own striking memorial is under the tower now. She sits in a central position with an infant seated on her lap, in what must be a conscious echo of the Blessed Virgin and Christchild. This is remarkable, because it dates from the later years of the Puritan Commonwealth, in 1656. She is flanked by her children and grandchildren, who look like nothing so much as a set of chess pieces. Lying rather uncomfortably at her feet is Lord Cornwallis, her first husband. Harbeshon rebuilt the chancel around this memorial, causing it to sit rather awkwardly below floor level, but the other memorials were moved elsewhere so that this space could become a liturgical and devoltional stage. This was fulfilled in the first decade of the 20th century, when the great east window depicting the crucifixion was put in place above an ornate reredos flanked by mosaics depicting the figures of the Annunciation. Mortlock thought the glass was by JD Forsyth, an apprentice of Henry Holiday. His work from an earlier generation is in the nave. If the Lady Jane Bacon memorial is the memory of Culford which most people will take away, it is not the biggest memorial here. That acolade is reserved for the large, elegant memorial to the Countess of Cadogan, who died in 1907. 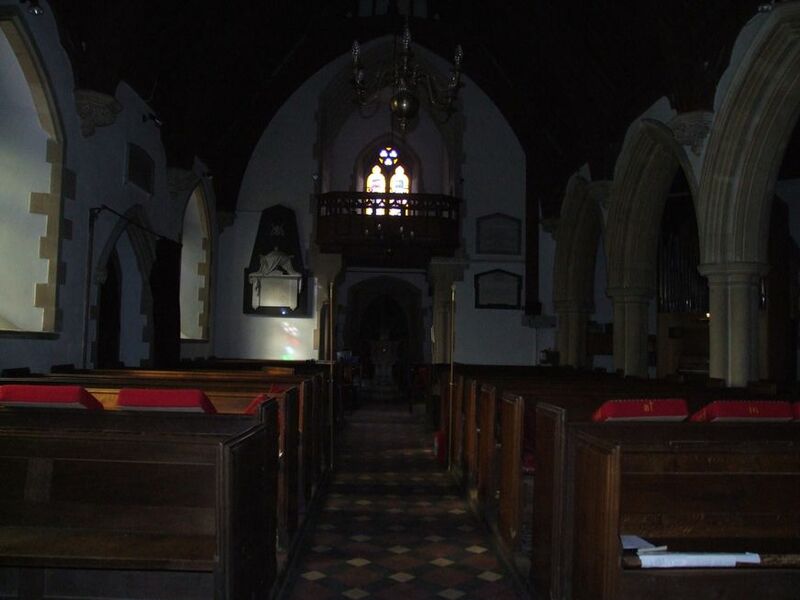 The north aisle was constructed to accomodate it. Railed in, beneath a dramatic arch, it has echoes of the memorial at Holkham to the Countess of Leicester. She died 37 years before the Countess of Cadogan, but both memorials transmute the style of conventional 15th century piety with the eye of High Anglican triumphalism. The Culford memorial is particularly interesting because it prefigures the style of hundreds of grand war memorials, almost a decade before the First World War. Outside, among the gravestones of villagers and estate workers, are other memorials to members of the Benyon and Cadogan clans. A glimpse of Edwardian piety comes from the memorial to the north of the church, an angel supporting a cross in memory of the nine year old Viscount Chelsea. At a time when the Church of England is suffering a loss of confidence, and the rural economy of East Anglia is being transformed by rapacious supermarket chains and blundering government policy, Culford is a reminder of a near-recent past which is almost within the memory. It was not necessarily a kinder or a gentler time, for God knows how hard rural life was in the second half of the 19th century, especially in a grindingly poor area like West Suffolk. But it was of a human scale, and was graspable by those whose allegiance was sought by it. In turn, they helped to sustain it. Churches like St Mary will never be built again. The opulence and craftsmanship here spring not just from deep faith, but from a fabulous wealth and political power, affirmed by seeming at once immutable and irreversible. The First World War would bring the old ways tumbling down. The Benyons and Cadogans of today will never again wield the influence of their 19th century forebears. Now, their wealth and fame are celebrated in the pages of Hello! magazine rather than in carved stone and stained glass. And it is hard to imagine the fabulously well-to-do of the 21st century being as liturgically literate as Benyon was, having the confidence to employ a minor architect who would make his vision a reality. But there is something more. 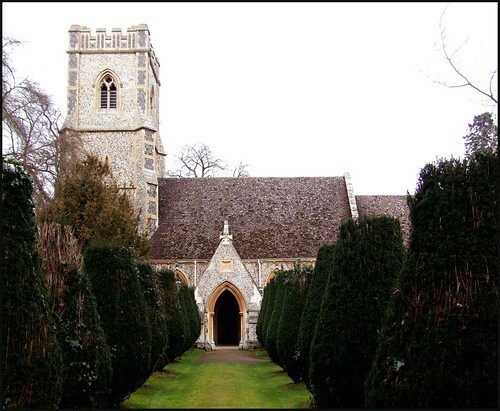 The glory that is Culford church was built under Benyon and Harbeshon's directions by the workers of the Culford estate. This was their church. They worshipped in it, thinking themselves Catholics in that extraordinary age of faith; they got married in it, had their babies baptised in it, and knew that this was where they would be buried. No wonder they made a good job of it.